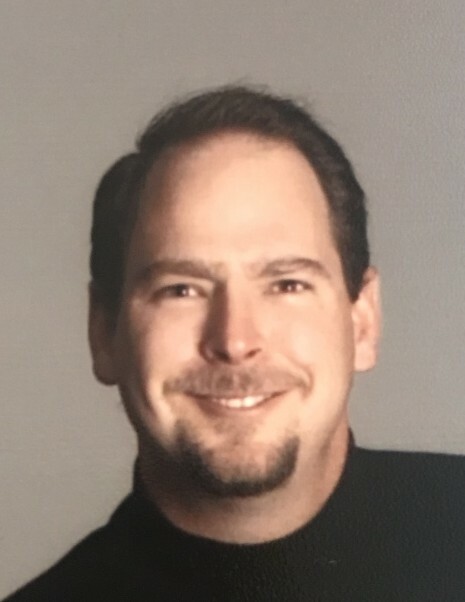 James Allen Coleman “Jim”, 47, died unexpectedly on Monday, October 29, 2018. He was preceded by his beloved mom, Karen K Coleman. He is survived by his father, Al Coleman, brother, Joe Coleman (Cathy), sister, Edy Smith (Bob) and his nieces and nephews, Tiffany Smith, Shayla Coleman, Bo Coleman, CaitlynRose Smith, Luke Smith and Trey Coleman, his Aunt Patty (Baldy), cousins Richard Givens (Peggy), Lori Myers (Kip), John Givens (Christina), Kelli Lemken (Billy), Ryan Myers (Amanda), Matthew Givens, Nicolas Myers, Brennan Myers, Andrew Givens, Kyle Givens, Jessica Givens, Eric Givens, Madison Lemken, Maci Lemken. Jim was an outstanding athlete. He was a 3 year letterman in football, basketball and baseball at Valley High School, where he was an all state football punter, basketball guard and baseball pitcher. He graduated from Valley High in 1989 (thanks to our personal family teacher Donna Wrenn). He earned a baseball scholarship to the University of New Mexico where he pitched a legendary 13 inning winning game at the WAC tournament against San Diego State in Hawaii to get the Lobos to the finals. And we have proof because he saved the DVD. After graduating from UNM he worked for Costco until his death. He touched the many people he worked with (not inappropriately) and they were his second family, lucky them. He was an avid Valley High School sports fan and loved watching his nieces and nephews growing up. He will not have to suffer through this season as a Dallas Cowboy fan and may be able to send help from above. He loved watching UFC fights with his special sister-in-law Cathy. He never missed the opportunity to make everyone around him laugh. When he smiled his whole face lit up. Please help us celebrate a life that ended to quickly and keep the laughter he brought alive. Jim’s Life Celebration will begin with a Visitation on Monday, November 5, 2018 from 11:00 am until 1:00 pm in the Reflection of Life® Chapel located at 2400 Washington St NE 87110 (Washington & Cutler NE). Rosary will begin at 7:00 pm at Our Lady of Guadalupe located at 1860 Griegos Rd NW. Mass will be held on Tuesday, November 6, 2018 at 11:00 am also at Our Lady of Guadalupe Catholic Church. Burial will follow at Gate of Heaven Cemetery located at 7999 Wyoming Blvd NE. His pallbearers are these special friends who call him brother: Johnny Baros, John Garcia, Jon Gallegos, Robert Jaramillo, Robert Marquez, Bob Lujan and Henry Sandoval. Honorary pallbearers are Mike Anaya, Pat Hitchcock and Henry Chavez and (Donald Waskow, deceased 2016). To honor Jim and our mom Karen, you can make donations to the Breast Cancer foundation https://www.bcrf.org/.